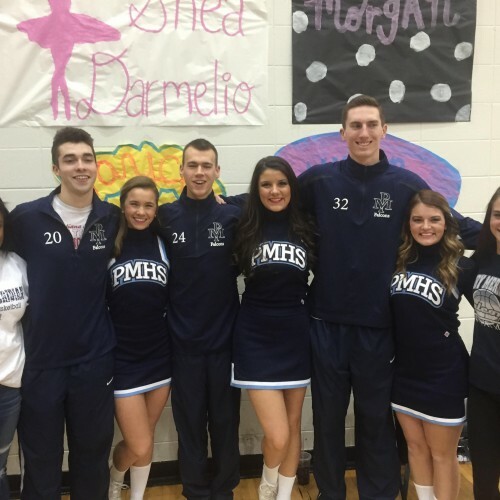 The Perry Meridian Falcons honored 12 seniors on Friday night before the Boys Basketball Game against Mooresville. 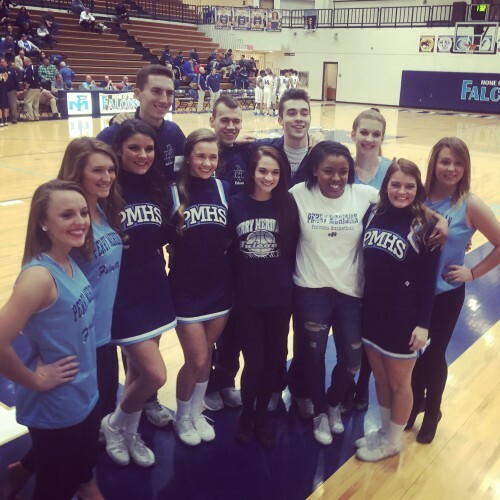 Perry is proud of and thankful for the contributions of the Senior members of the Falconettes, Cheer team, managers, athletic trainers and the boys basketball team. 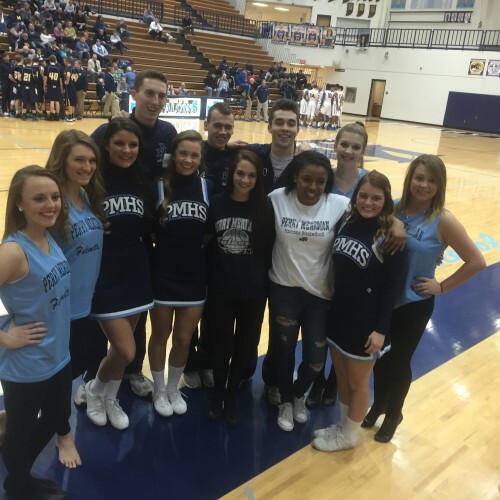 The Falcons beat Mooresville 58-to-49. Falconettes: Jaycie Blanford, Shea Darmelio, Morgan Patterson, and Lauren Zotz. The Falcons will play Ben Davis Tuesday night in the second game of the first round of the sectionals at the Southport Fieldhouse. 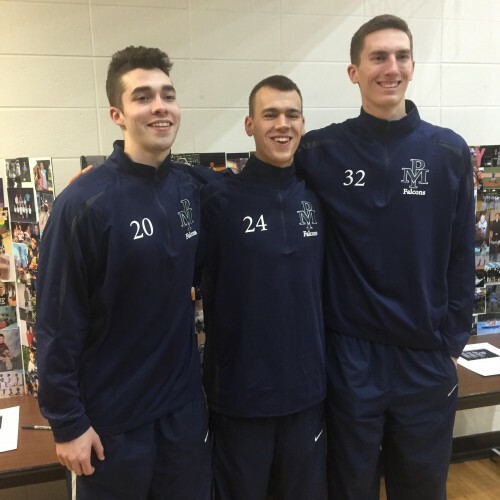 Tip-off is scheduled for 7:30 p.m. Perry Meridian students and fans can purchase tickets, at Perry Meridian, for all three sessions for $10 dollars. Single game sessions can be purchased at the fieldhouse for $6 dollars. GO FALCONS!! !